The 21st of June saw the introduction of a brand new paintbrush for us as Neopians to use as a form of decoration for our beautiful neopets. What was this magnificent paint brush you ask? Swamp Gas. For many of us, customization is very dear to our hearts, and this new paintbrush saw many of us quiver in fear as we were forced to contemplate how in the world we would customize them. Well, relax! This quick and easy guide will offer you varying customization tips on how to get the perfect look for your Swamp Gas pet. Backgrounds are often a key aspect in neighbouring Neopians first impressions of your pets. The background can lead to characteristics such as shyness, homeliness and boldness being associated with your pet. For outgoing swamp pets who are loud, proud and more than happy to share their stench, the Lily Pad Background will be perfect. With this background your pet will stand as an outgoing and inviting pet that is happy to meet new people and to allow them into their fragrant world. For pets that are a little more timid but are still happy to meet people, the Forest Glade Background is ideal. This background offers the opportunity for your swamp pet to meet other pets without stepping outside of its comfort zone. 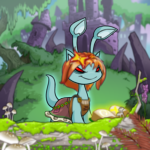 For your swamp pets that are more embarrassed to step into the outside world, you will not go wrong with choosing either the Fungus Cave Background or Creepy Cave Background. These backgrounds allow your pets to keep within the comforts of their own company, without feeling as though they have been forced out to the Neopian world. Foregrounds are often something for pets to either hide behind or for them to use as a form of mystery to warn off hindering neopets. For swamp pets who are happy enough to invite other Neopians over, you have the choice of whether or not to even provide them with a foreground. If you would like one, then perhaps the Stately Tree Foreground or Willow Tree Foreground will be suitable, as these will allow your pets to still be highly visible yet still offering a visual aid. For those pets who want a stable foreground as an optional form of defence, then the Strange Green Mist Foreground is the right choice. This foreground offers high visibility with an optional hiding place. Then there is a need for a complete cover up for those pets who need/want to be left alone. In this case, the Cover of Darkness Foreground is a must have. This foreground is exactly what is needed in order for your swamp pets to hide yet remain somewhat visible to us as owners. The garland section often gets left behind in the customization frenzy. 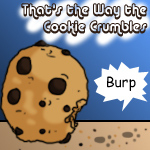 Yet this is a crucial aspect of a swamp pet’s credibility within the swamps of Neopia. For your fun loving swamp neopet, the Festival of Neggs Garland is perfect. Its naturalistic feel suits their normal surrounding whilst the neggs hidden within them offer fun filled activities. For the swamp pets that have chosen natural surroundings to create a home in, the Hanging Vines is very suitable. These vines are perfect to hang from in times of boredom but are also great for decoration purposes. For the swamp pets that have chosen to home in caves, then Green Leaf String Lights or Asparagus String Lights are a must. This will offer great lights in the nighttime whilst also offering great decorations in times of company. Trinkets offer a little insight to us as Neopians as to the type of pet you have. They also offer great home comforts for our adorable little ones. 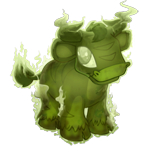 For swamp pets that love the outdoors and their socialization, the Pampas Grass Trinket will be ideal. This plant is small enough to ensure your pet is not overshadowed by their customization and therefore allowing them to carry on with their boldness. There is also the Hidden Neggs Trinket which also offers a basis of conversation with other pets, when they may be put off by your swamp pet’s smell – this also goes well with the negg garland mentioned above. Then there’s the Annoyingly Hard Tree Stump; this is perfect for those pets that need a bit of stability, offering a great thing to kick in times of anger but also offering something to hide behind in times of fear. For swamp pets who are looking to decorate their private home, such as their cave, the Bamboo Plant is a flawless choice. This cute little plant will offer a comforting and homely feel to what may seem like a cold and lonely cave. Hand-held trinkets are an essential part to a neopet's customization, especially those of the swamp nature. For the swamp pets that see themselves as king/queen of the swamp, the Dice Staff is exactly what they need. For all you color coders out there, there is no need to panic as the colours somewhat match, but more to the point the staff is perfect for letting everyone know who is boss. The Dripping Toy Slime Gun is ideal for the swamp pets that are looking for a bit of fun in their boring surroundings. It straps around their back and oozes lovely slime out the front, also perfect for warning off strangers. For those swamp pets that are looking to protect their home, the Heavy Mallet is perfect. This allows the neopet to feel safe in their home knowing they have a form of protection within constant reach. The Single Grey Flower is the right choice for any swamp gas pet. As it is already drooping, the pet will not feel as though their stench has caused it; it also looks pretty and suitable in their hands. The Wooden Barrel and Xandra Mask is perfect for those swamp pets who are either trying to be noticed or trying to hide behind something. For any stylish swamp queen, there must be some jewels, right? Well, the Simple Green Head Amulet is perfection, offering great fashion status to any young swamp lady. The Wellington Boots are a must have for any swamp pet; seriously, who wants to walk around a swamp all day with no shoes? The Summertime Fun Sloth Spray Mister Necklace is also essential for the swamp pets, allowing them to squirt splashes of fragrance onto themselves when no one is looking. I hope this guide has helped not only in opening your eyes to the amazing customization available for the new swamp gas pets, but has also opened your eyes with regard to swamp pets as a whole. I know for many Neopians the new paintbrush came as a shock, but hopefully with time these aromatic pets will become an essential member of your family!